Rock climbing walls are fun and great exercise, but you'd have to possess nerves of steel to take on this one, featured in the below video. It's aboard the Brilliance of the Seas, which is currently sailing around Dubai and the Suez Canal, and about to sail the Mediterranean from May. To book a cruise aboard Brilliance of the Seas go to www.cruisesalefinder.com.au. 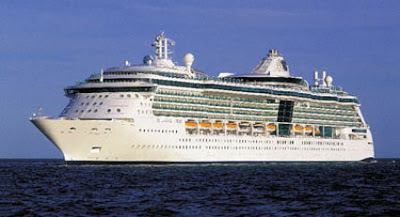 Brilliance of the Seas is a cruise ship belonging to the Royal Caribbean's Radiance class. It cruises the Mediterranean from April to January, and is based in Dubai sailing to ports around the Middle East and India from January to April, doing two "repositioning cruises" each year through the Suez Canal. Check out the fantastic deals on fares aboard Brilliance of the Seas at www.cruisesalefinder.com.au.